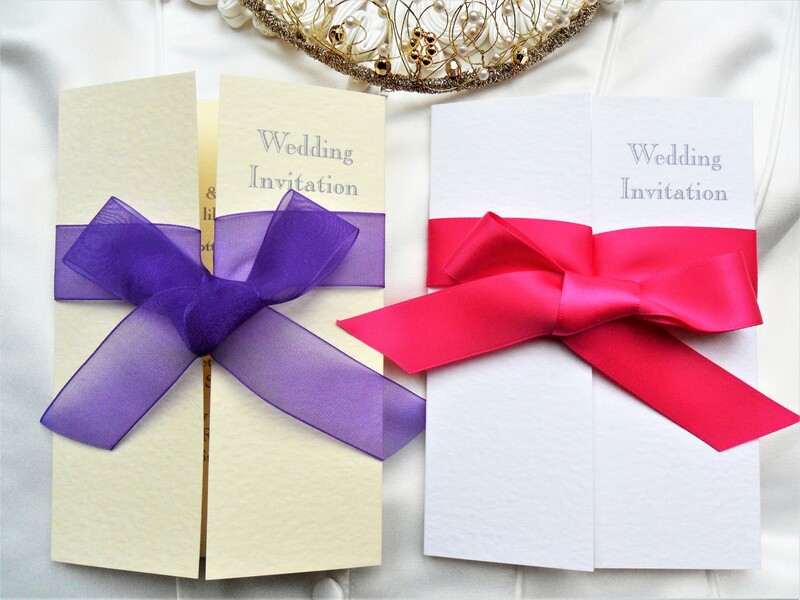 Personalised Gatefold wedding invitations from just £1 each. 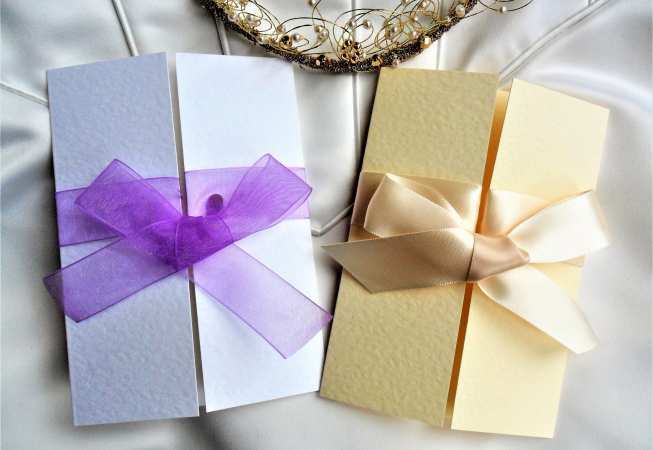 One of our most popular wedding invitations and excellent value for money! 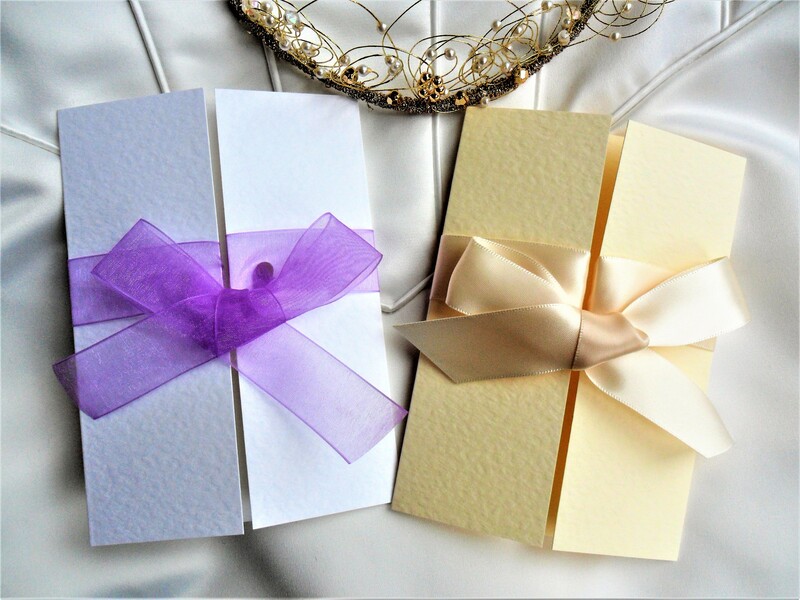 Our gatefold wedding invitations are top quality! 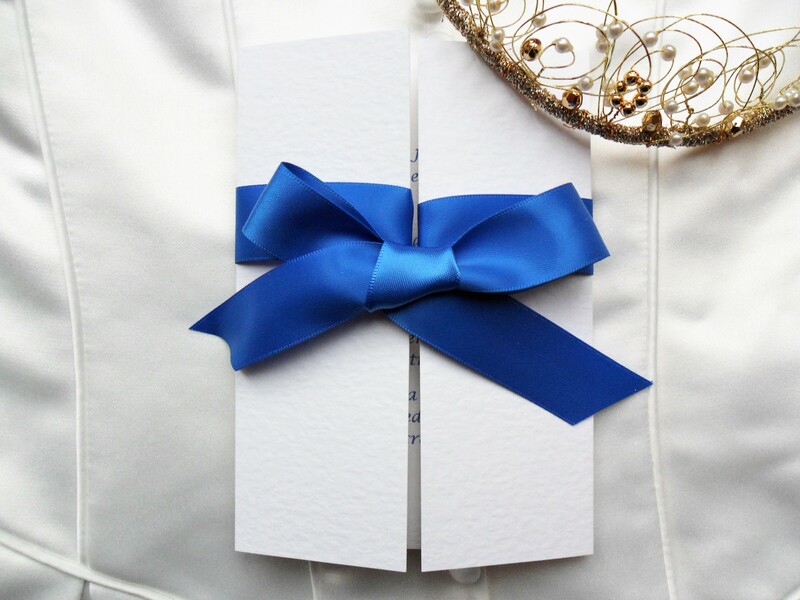 We can print on the front of the invitation if required (please request at time of ordering). 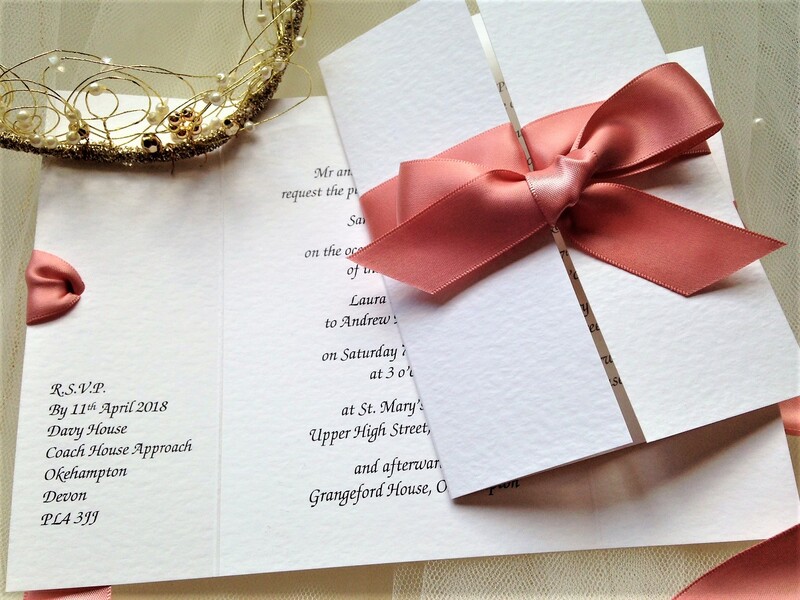 Please note: Gatefold invitations are supplied with the ribbon attached to the card for you to tie before despatching to guests.